Do you have a difficult daily routine? Do you want to start enjoying the events around you? Do you experience psychosomatic symptoms? Then come to the laughter seminar !!! You will be taught many exercises to put laughter in your everyday life! Remember to wear comfortable clothes and take a pillow with you! 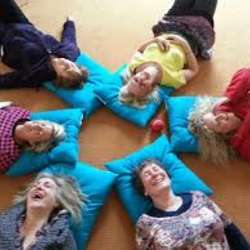 Laughter exercises will help you cope with the psychosomatic pains you face and generally increase your quality of life! Minimum 6 attendees in order the event to take place and you have to reconfirm your attendance till Saturday 19th of January with call or sms to my number because seats are limited. You pay only your consumption in the pub.